We make people a priority at RCC. 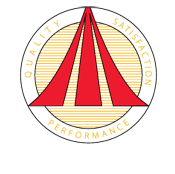 We are here to work together to provide our customers with comfort. 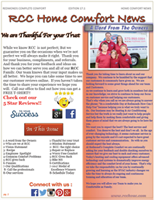 We consider everyone who works at RCC our Family. Brian Redmond is a 2006 adult graduate of the CPI Heating, Ventilation and Air Conditioning (HVAC) program. 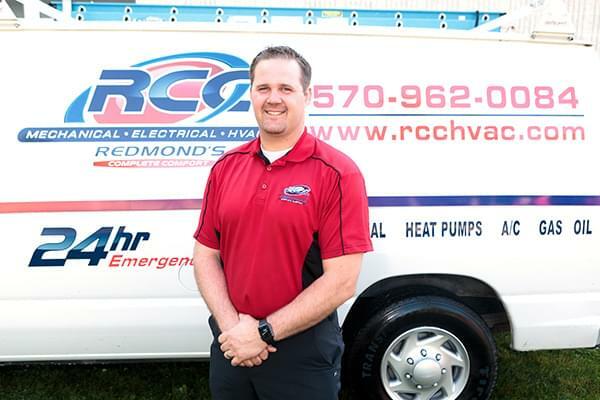 Since graduation, Brian has advanced through numerous positions in the HVAC industry including: residential and light commercial technician with a local contractor, commercial technician with Trane, and chiller technician at the PSU Large Industrial Maintenance Department. 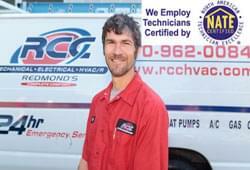 Brian is now the owner/operator of Redmond's Complete Comfort and has employed five CPI gratuates from the HVAC program. He is also an adjuct instructor at CPI in the Emerging Energy and Infrastructure program. Tera Redmond is a Graduate of South Hills School of Business and Technology. She has worked along side Brian in the growth of RCC. She oversees customer service, marketing, finances, and quality improvement. Shaugn was our very first Team Member. He is Nate Certified technician and is willing to do anything that needs to be done. He has a wide variety of skills; he can work in the office answering phones, go from installation to service technicities as well as management. He is also one of our Nate Certified Technicians. He lives in Lock haven with his wife Jenn and his 4 children. 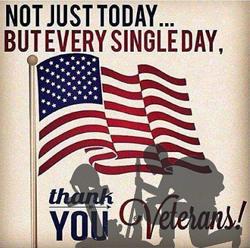 He is also veteran of the U.S. Army. It is an honor to introduce to you Shaugn. 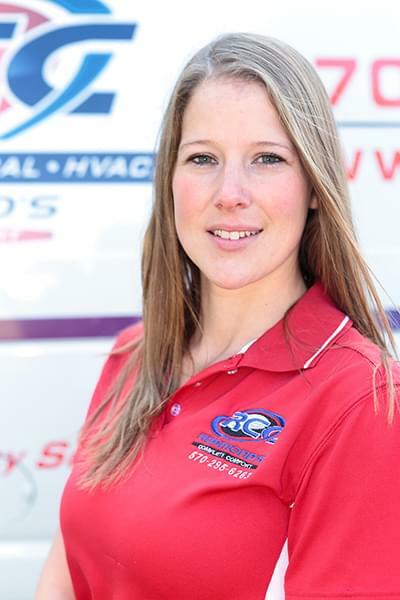 We are very thankful to have such an awesome asset on our team. Tyler is one of our "go to" guys and is an awesome asset to the team. Tyler has great work ethic and is always willing to go the extra mile. 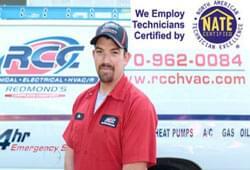 He is one of our NATE certified techs and specializes in geothermal. He rode with our bike team 100 miles to support MS this year. Tyler is a service man at heart. He is also a veteran of the U.S. Army but continues to serve locally as a Firefighter at the Castanea Fire Dept. He and his finance Kassie live in Castanea. We are honored to be able to work along side Tyler everyday.